With the new SQ Dymo STR8-FIT drivers, we've not only created the ultimate shot-shaping toolkit, but we left out the kit. No bundle of shafts or movable weights required. The simple STR8-FIT shaft adapter built into the hosel gives you access to eight unique head positions, delivering eight different ball flights to either dramatically correct your ball flight or subtly perfect it. Eight head positions. Eight ways to straight and long. • All SQ DYMO and SQ DYMOÂ² drivers are engineered from the ground up with the express purpose of optimizing the launch and spin by loft. Performance is maximized in every loft by varying multiple specifications from lie angle, to MOI and CG placement, to overall head size and face depth. Square geometry is about straight and long, great sound, optimal launch by loft, and great looks. A new folded round geometry repositions square mass into a round format for workable distance and control. Two designs for the player that wants to swing away. Ultra lightweight shaft power through speed and stability. 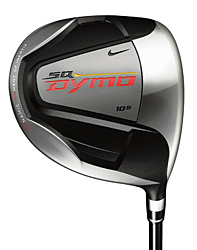 A larger overall diameter throughout the body maintains shaft stability at impact. AXIV Core material in the tip section for power. Designed for maximum grip on the top half, and fantastic feel on the bottom, these grips will give you control and power shot after shot. ï¿½ Torque wrench securely fastens your STR8-Fit shat to the driver head with ease by using the 70 in/lbs torque wrench. This wrench fits comfortably in your hand and stores neatly in the head cover. Lights and alarms sound when the proper torque in reached.